Bronx was brought in by the Bronx animal control staff. Many times, animals are seen on the streets and are picked up with no real destination, so they are often brought to the nearest sanctuary. We weren’t told Bronxies story but we’re thankful he’s here now. 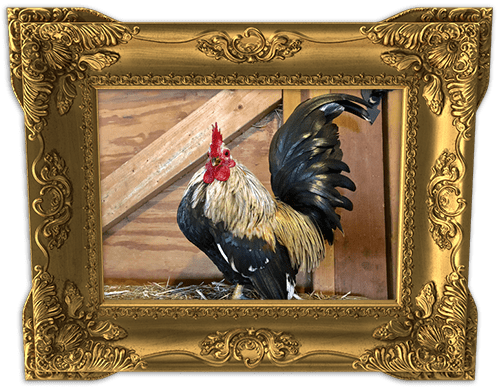 Bronx is a smaller phantom breed rooster and he is so nice. He gets along well with the others in his areas. He has a really good personality. We love having him here at Skylands.